Involuntary separations occur when management decides to terminate its relationship with an employee because of either economic necessity or a poor fit between the employee and the organization. Examples of involuntary separations include discharges, layoffs, and downsizing or “right”-sizing (a term used by firms to make downsizing appear more palatable, generally positioning it as an attempt to make the firm the “right” size for its needs by implementing layoffs). 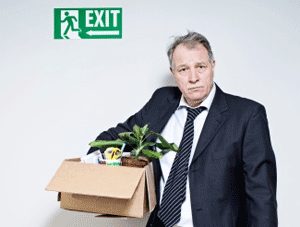 Wrongful dismissal will tend to arise first as a claim by the employee so dismissed. Many jurisdictions provide tribunals or courts which will hear actions for wrongful dismissal. A proven wrongful dismissal will tend to lead to two main reinstatement of the dismissed employee, and/or monetary compensation for the wrongfully dismissed.